Festival Films ships DVDs and 16mm films all over the world. We can help minimize any import duties or fees by declaring low values. 1. Do you sell copyrighted films? Absolutely! 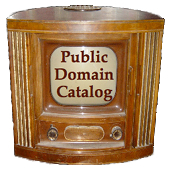 Although specializing in our own public domain releases, we can and do sell any film that is currently available from Walt Disney, Warners, Image Entertainment, etc. We buy wholesale and re-sell at the suggested retail price. Some mail order video companies will not ship overseas, but we don't mind filling out custom forms! 2. Do we sell PAL format videotapes? NO. All films are in the NTSC format that is in standard use in the USA, Canada, Japan and other countries. PAL is the normal standard in Europe, England, Australia and elsewhere. We cannot provide PAL format tapes. The DVDs are not region specific, and many foreign DVD players can play DVDs from the USA. The approximate cost to air mail one videotape to Canada is $3; to England is $5; and to Australia or Japan, $8. We only charge exact shipping costs, which cannot be determined until shipment is made. Charge cards work well for overseas transactions. Let VISA figure out the conversion rate. That way we charge your account the cost of goods and exact shipping right after we ship. Festival accepts VISA, Master Card, Paypal and postal or bank money orders payable in US funds. You may even transfer money directly into our bank account. Do whatever is most convenient!